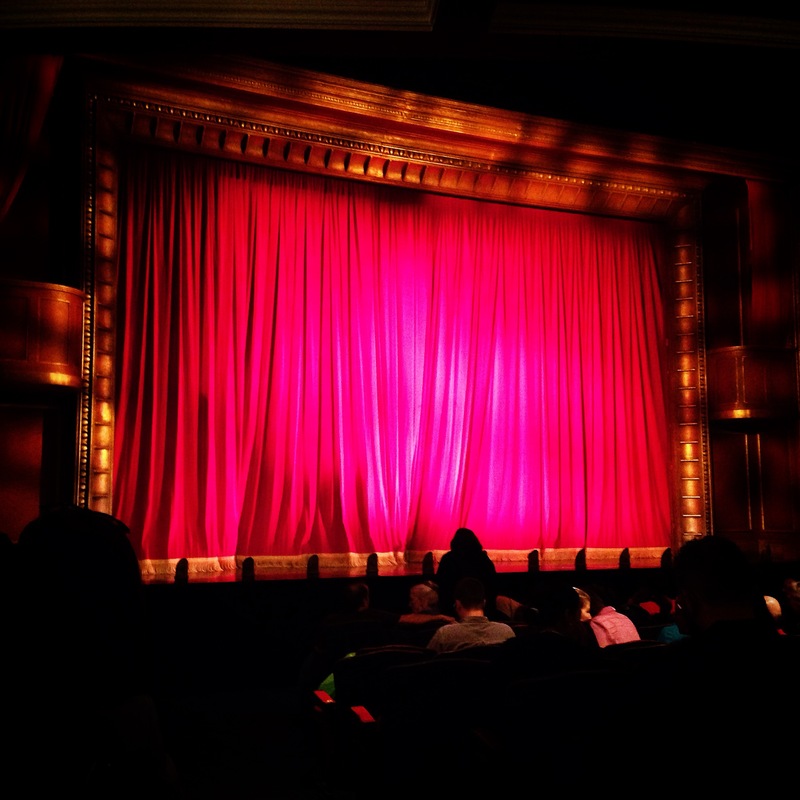 One of the first things most tourists do when they’re visiting New York City is book tickets to the theatre. The default, of course, is Broadway – there are so many amazing, well-known shows featuring the world’s best talent. But when you live here, well, it can get a bit expensive. Luckily, there are many options for acquiring cheaper tickets – and also thousands of other shows you can see off-Broadway! 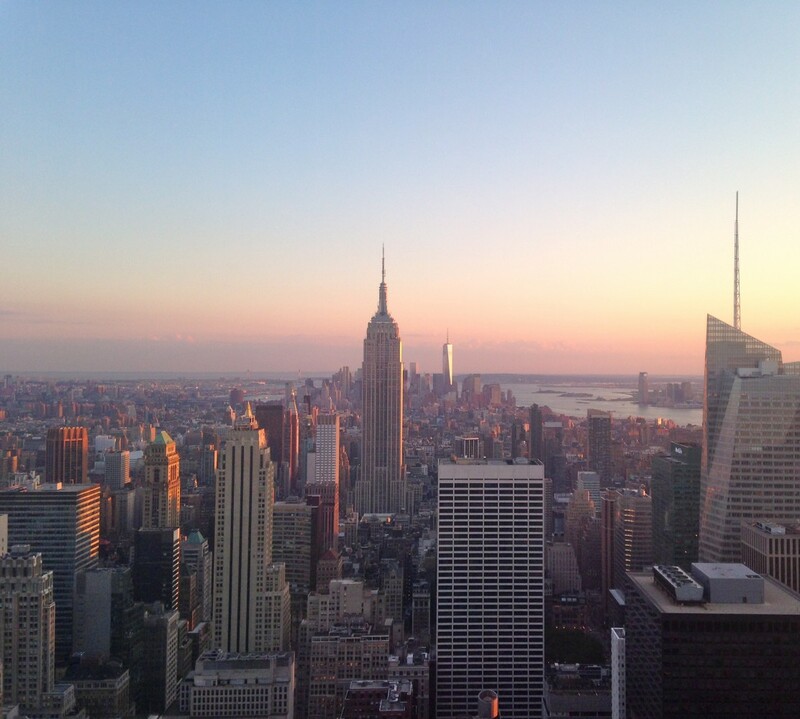 I’ve seen quite a few shows in New York – some as a tourist years ago and some as a resident. Here are the details! I saw Wicked on Broadway with my mom in 2008 when we were visiting the city. We bought tickets months in advance, read the book (well… I read the first chapter) and were ridiculously excited by the time it rolled around. Wicked is more than a show; it’s a truly incredible experience. The Gershwin Theatre is decorated like Oz, and the costumes and set are phenomenal. There’s a reason the show is still thriving after all these years. I’m lumping these two together because my experiences were nearly identical, although years apart: I acquired tickets at the last minute (Hairspray with my mom again in 2008; Mamma Mia! this past spring), the shows were in basic theaters with minimal fuss, but the performances themselves were high-energy and all-around fantastic. Both shows are now closed on Broadway, but I’d encourage you to go see either if a traveling cast ever passes through. Unlike Wicked, the theater itself isn’t a part of the experience. 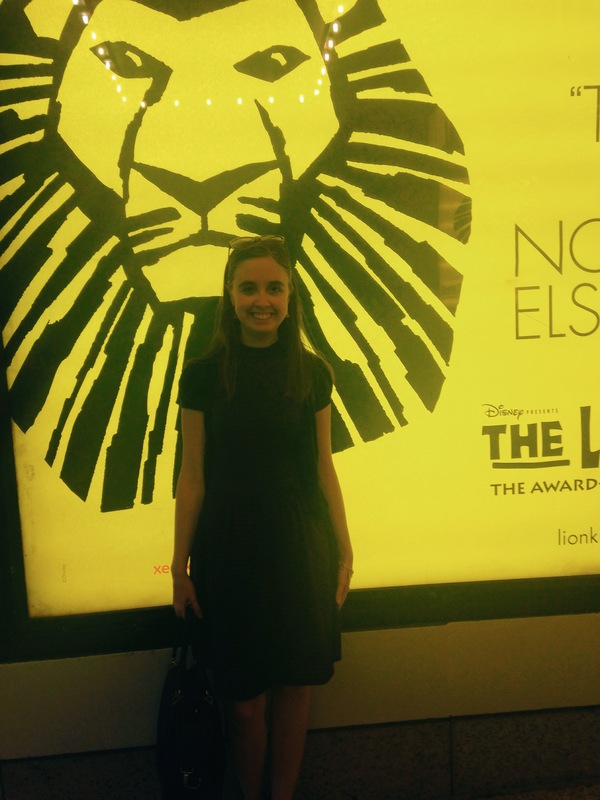 I saw Lion King with my sister in August. 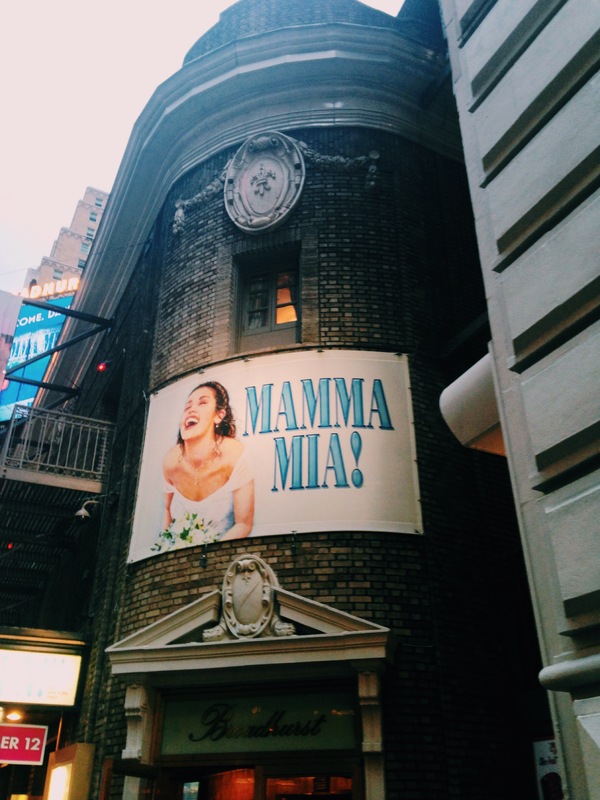 It was her second time seeing it on Broadway: She loved it so much the first time she begged our parents to buy us tickets for her birthday, which they generously did. Like Wicked (my Broadway standard, if you couldn’t tell by now), this show is exquisite in every sense: The music, the dancing, the costumes (holy crap, the costumes!) Plus, the Minskoff Theatre is enormous and features sweeping views of Times Square. Rounding out my experience with Broadway musicals so far, I saw An American in Paris with my parents and cousin in September this year. It was more or less made for me: Post-World War II European history, a cast that dances ballet, a sprinkling of humor. Still, I’m comfortable recommending it to anyone: It’s had a huge amount of success since opening earlier this year, and the music is well-known. The 39 Steps was my first experience with an off-Broadway show in NYC and it was incredible. Based on the Alfred Hitchcock film, the stage version of The 39 Steps features only four cast members for 150 roles, making it more of a comedy than a thriller. Plus, there are hilarious references to Hitchcok’s other works. Having the show off-Broadway makes it an intimate experience: Union Square Theatre is tiny and makes you feel like you’re a part of the action. 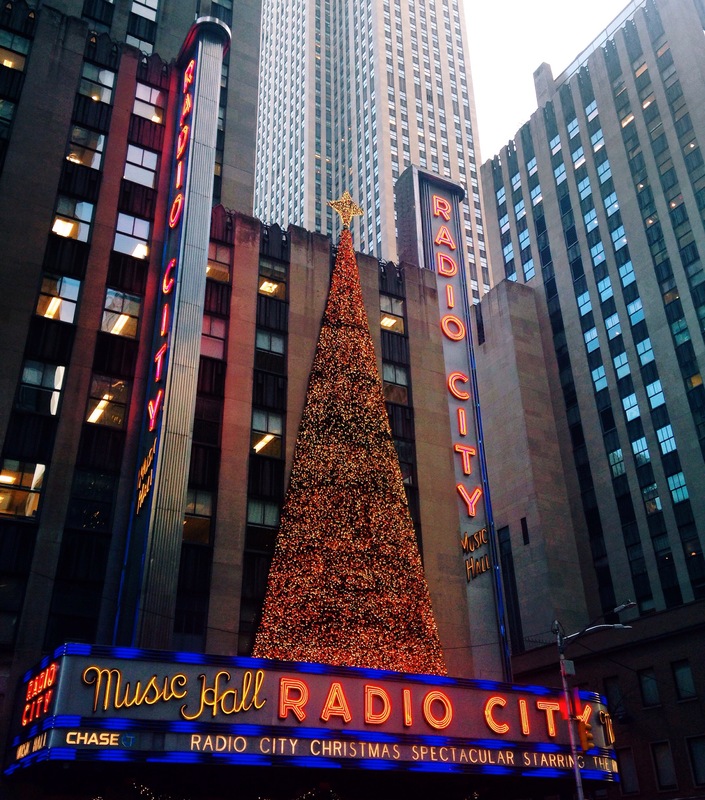 Just this week I went to my first show at Radio City Music Hall! The annual spectacular features the famous Rockettes along with other performers, including live camels. I went on my sister’s recommendation and because we were both dancers growing up, I was thoroughly impressed. The Music Hall is a gorgeous (if overbearing) space, and as someone sitting on the far side of the second mezzanine, I can confirm that there are no bad seats! If you want to see a show in New York, here are my favorite ways to do so: If you have a show you definitely do not want to miss, splurge on the tickets on the show’s website. Otherwise, TKTS ticket booths sell day-of discount tickets to both on- and off-Broadway musicals and plays. (Go to the one in Brooklyn for shorter lines!) Most shows do a lottery two hours prior to showtime: Arrive early to enter your name for a chance at 1 or 2 discounted seats. And many shows hold contests on social media, so pay attention and enjoy!